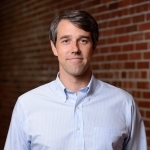 Texas Congressman Beto O’Rourke tells a Madison crowd he has issues with the detaining of immigrant children at the U-S border with Mexico. O’Rourke brought his presidential campaign to Wisconsin Sunday. It was his second visit to Madison, but his first since making his campaign for the White House official. After speaking at a coffee house in the morning, he traveled to Milwaukee for a meeting with electrical workers.